A boring structure, eh? 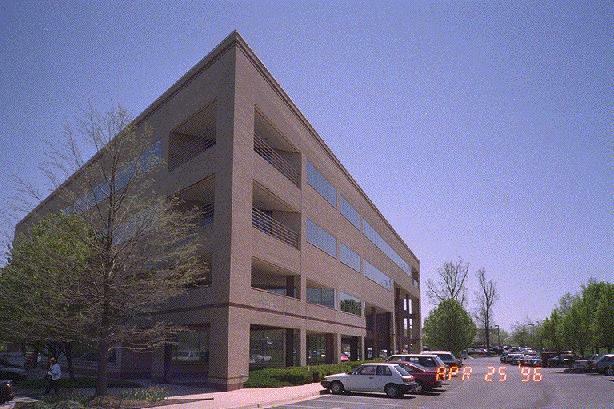 This is one of several office buildings on Waples Mill Road in Fairfax City, just north of Rt. 50. This is obviously the one in the book, since there is nothing at all of note on this little strip of development except the national headquarters for the National Rifle Association. At the time this photo was taken, this building even has space to lease.